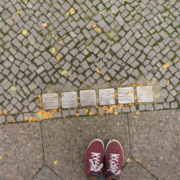 Berlin, the capital of Germany, is home to plenty of memorials regarding the Holocaust. 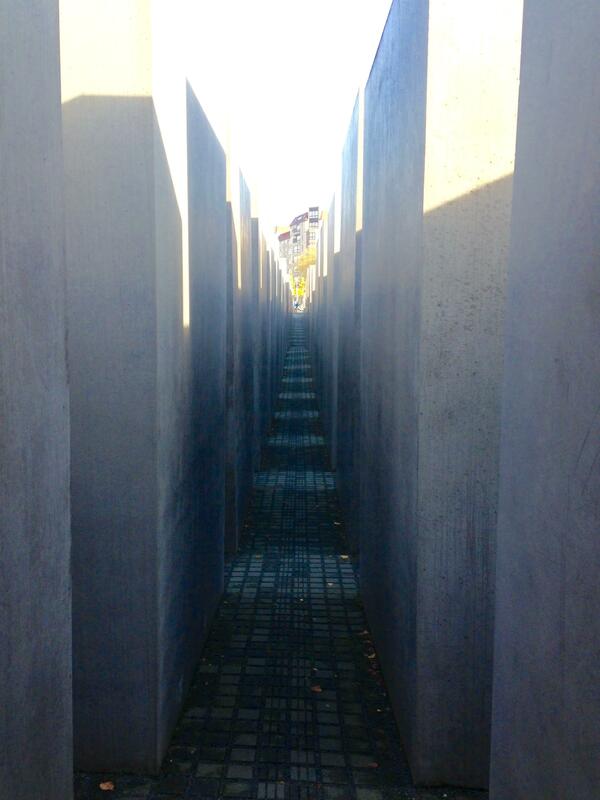 In Berlin, they have many memorials for the groups of individuals who were targeted during the Holocaust. 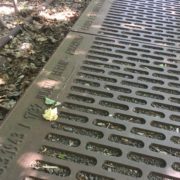 These sites of memory are very important because they call upon the visitor to interpret them based on the background knowledge they have of it. These sites have a lot of impact on people because they cause them to draw interpretations based on their personal knowledge and experiences. Even with so many memorials in Berlin, I believe that it is never enough to justify the suffering of a group of people. Memorials are meant to celebrate and remember the life of the person or people who were lost. On our trip in Berlin, we visited many memorials dedicated to the people who had suffered under the Nazi regime. The first location we visited was the Bavarian Quarter to experience two memorial the “Places of Remembrance” the “Stumbling Stones.” The origins of the “Places of Remembrance” goes back to the early 90’s, and was a local initiative developed by Germans to commemorate the Jewish people who once lived in the neighborhood. The project consists of two-sided street signs: on one side is a picture and the second side is a text. The pictures and texts display laws the Germans imposed on the Jewish people and excerpts from diaries found in the quarter. The restrictions of Jews that were put on display included: “Jews are not allowed to leave their home after 8pm”, “Jews in Berlin may only buy food between four and five o’clock in the afternoon”, “Jews must forfeit all electrical devices”, “Jews are banned from choral societies”, etc. It is a voyage to walk through the Bavarian Quarter because each plaque is different and reflects history in such a unique manner. After exploring the Bavarian Quarter, we visited the Memorial to the Sinti and Roma Victims of National Socialism. The German government decided in 1992 to commemorate those who were persecuted as “Gypsies,” but the actual memorial was not completed until 2012. 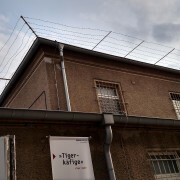 This memorial is constructed with a long glass panel at the front with a timeline on the persecution and mass murder of this minority under the National Socialist regime of terror. The text on the glass is displayed in both German and English so it is accessible to a larger amount of people. Behind the panel is a shallow black pool with rocks surrounding it containing the names of concentration camps where they were being taken to and murdered. In my opinion it is an understated memorial, but also a very moving and impacting one. The pool and the stones makes one think of the horrific discrimination that gypsies are facing in many places. In my view, this memorial serves as a reminder of the ultimate price paid for such lack of tolerance and racism. Afterwards we visited the Memorial to Homosexuals Persecuted Under Nazism, which is quite easy to walk past it without noticing because it is quite plain. 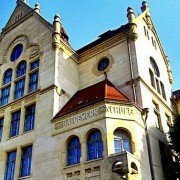 The memorial was built in 2008 and was initiated by the Lesbian and Gay Federation of Germany (LSVD). This memorial is simply a stone block with no markings. 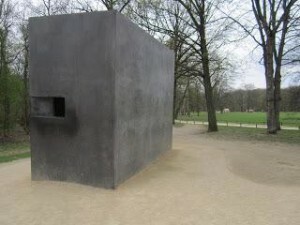 It is located in the Tiergarten, opposite of the Holocaust memorial. There is a small window that displays two men kissing and embracing each other on a rolling film. 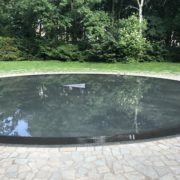 Many of my colleagues on this trip questioned the location of the memorial, but I think this hidden spot was chosen on purpose. To me, it represents the cruelty shown to this group of people. It is a lasting symbol against exclusion, intolerance and animosity towards gays and lesbians. It made me realize that a similar monument addressing current discrimination against LGBT communities could be located in all modern countries and not just in Germany. 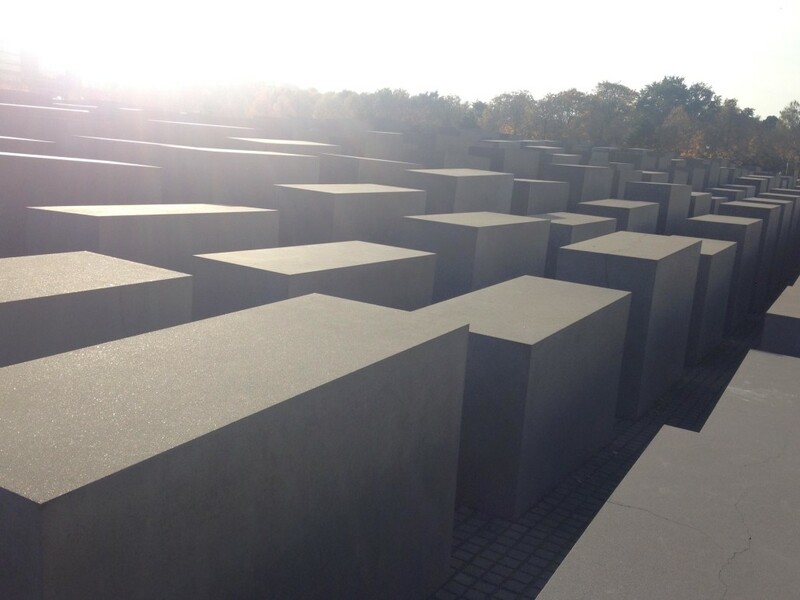 Lastly, we visited the Memorial to the Murdered Jews of Europe. 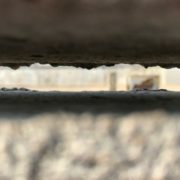 It consists of concrete slabs, arranged in a grid pattern on a sloping field. This memorial can be approached and entered from all sides. It serves as a place for remembering the Jewish people who suffered and reminding others of them. There is a lot symbolism in these concrete slabs. It is a significant tribute to those who lost their lives during the Holocaust. I really liked this memorial because I believe that the artist left it to the individuals to interpret the meaning in their own way. 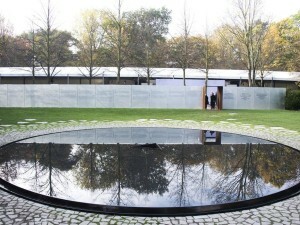 You can walk through the slabs freely and reflect on what this monument signifies to you. A recommendation I would suggest is to add signage about the history of why they built the memorial, what it symbolizes, and about the artists that made this memorial. Most people, when talking about World War II and the Holocaust, forget that there were other victims of Nazism. The Jews, Roma, Sinti, and homosexuals were not the only victims. Many other groups of nationalities were targeted by the Nazis, including the Jehovah Witnesses. I strongly believe that in order for Germany to continue to try to come to terms with what it did, Germans must continue to pay respect to all the people that were targeted. Today, minorities are still suffering around the world. They are being targeted because they look, speak, eat, dress, and worship differently. Monuments for diverse groups of people can testify to how we, as human beings, can never ever let something like this happen again because it affects all of us. These different monuments can prove how targeting minorities because of our differences can lead to such a hateful and destructive society. History repeats itself, but we must not let it.